Showing 7 articles from March 5, 2018. Cy Meyers was a leader in the community who for years served Winlock tirelessly and continued to work throughout his retirement years. Cy understood the words "serving your country" and he kept that attitude his entire life. 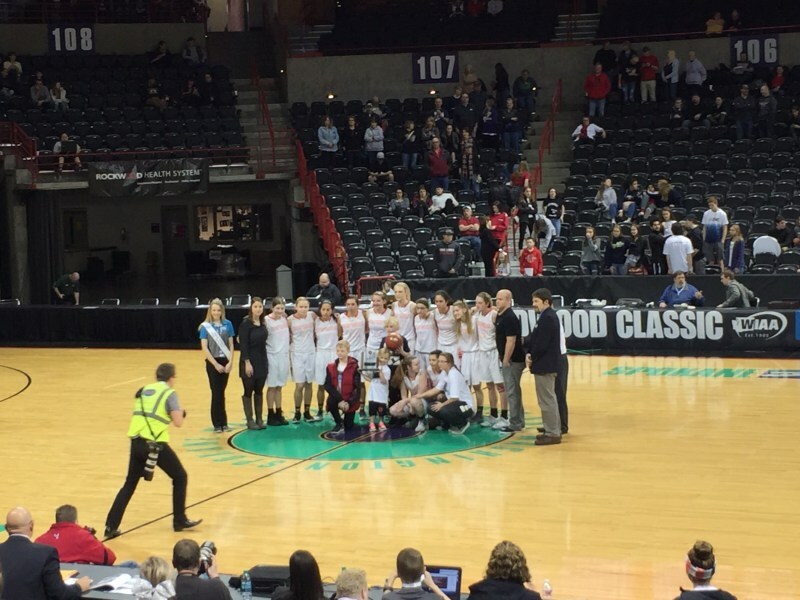 The Napavine girls basketball team piled into two vans on February 26, and set off for their destination: Spokane. The girls have been preparing for just this moment. All of their practices and hard work lead up to State Championships. The girls had an overall placing of 5th. The Napavine band also traveled with the girls, they were there to perform and continue to play their peppy music. Thanks to Mr. Craig, all of his students seemed to have a blast while rooting for their Napavine team. On March 29 from 5:45 p.m. to 7:30 p.m. the Toledo Elementary School presents Camp Read S'More. Campers load up your camping gear and spend a free fun filled family night celebrating the joy of reading. Prepare for stories, snacks, games, activities, and free books for kids. Sponsored by the TES PTO. For more information contact TESPTO@outlook.com. Photo by Karen Carter - House fully engulfed in flames. 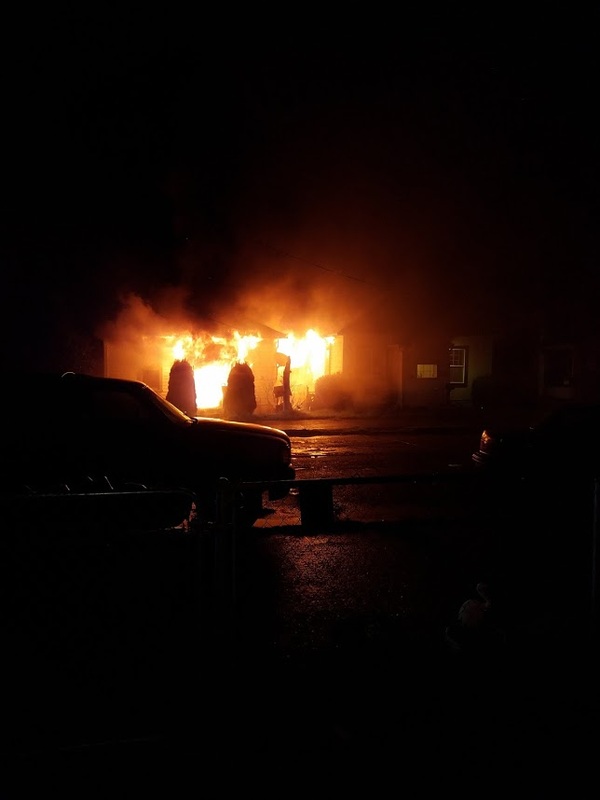 March 4 at approximately 11:40 p.m. a fire broke out at a residence in the 600 block of Duryea Street in Raymond. By the time Raymond Fire Department was on scene the house was fully engulfed in flames. Upon arrival they were informed a male occupant was possibly still inside. They were able to knock down the fire quickly and initiate a rescue to locate the missing occupant. He was located and pronounced deceased at the scene. There were no other fatalities. SOUTH BEND -- After three days of testimony, James O'Hagan was convicted of possession of a stolen motor vehicle, possession of stolen property in the first degree, and bail jumping. The case took place in Pacific County Pacific Court last Wednesday through Friday. The Trump administration has announced its proposed 2019 fiscal budget, eliminating billions of dollars from federal programs. Drawing the most criticism is how the government plans to handle SNAP also known as Food Stamps. Within the proposal the administration has proposed that any recipient who receives over $90, roughly 81% of SNAP recipients, a month in benefits to receive half of their allotted benefits as a USDA Food Package. The package would include items such as shelf safe milk, pasta, bread, peanut butter, and canned fruits and vegetables.